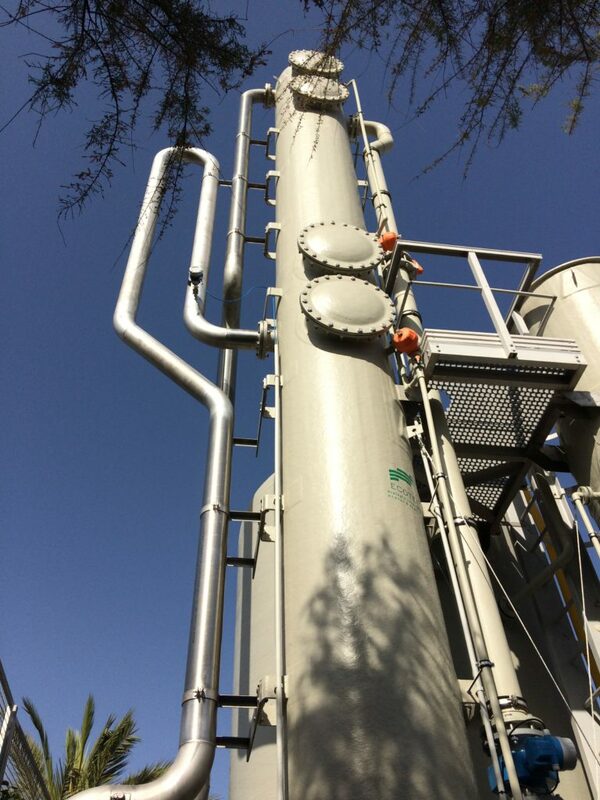 AERIS has successfully completed the start-up of its new biogas desulfurization bioreactor. 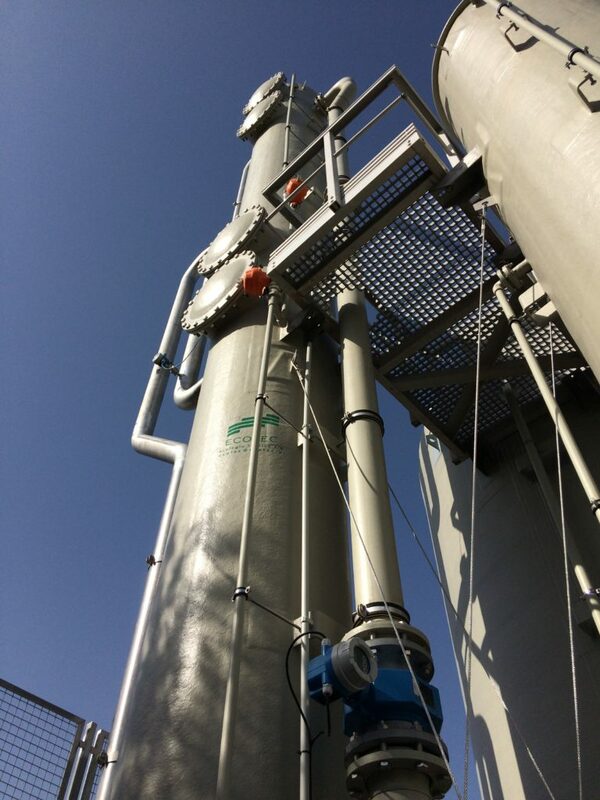 The device treats a highly-variable biogas flow rate of between 150 and 300 m3/h, with H2S concentrations reaching 22,000 ppmv (2.2%). 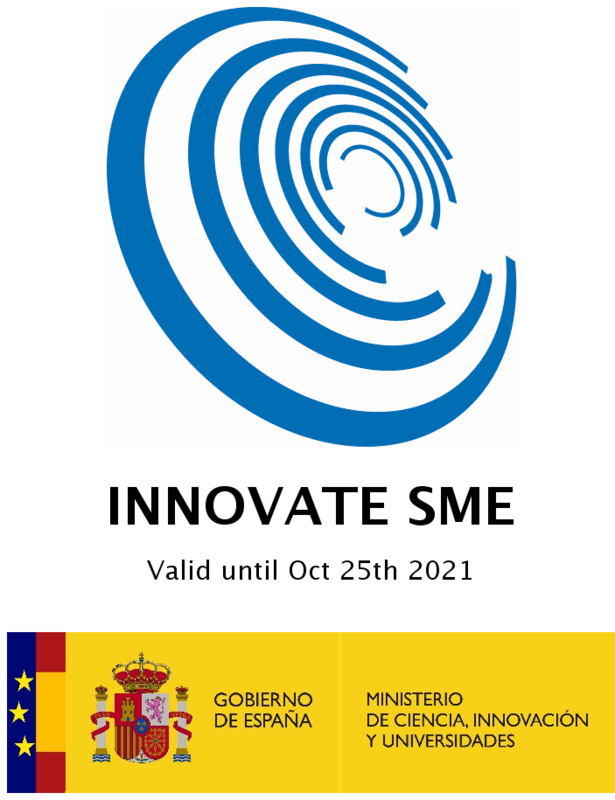 Its efficiency so far is greater than 99.9%. 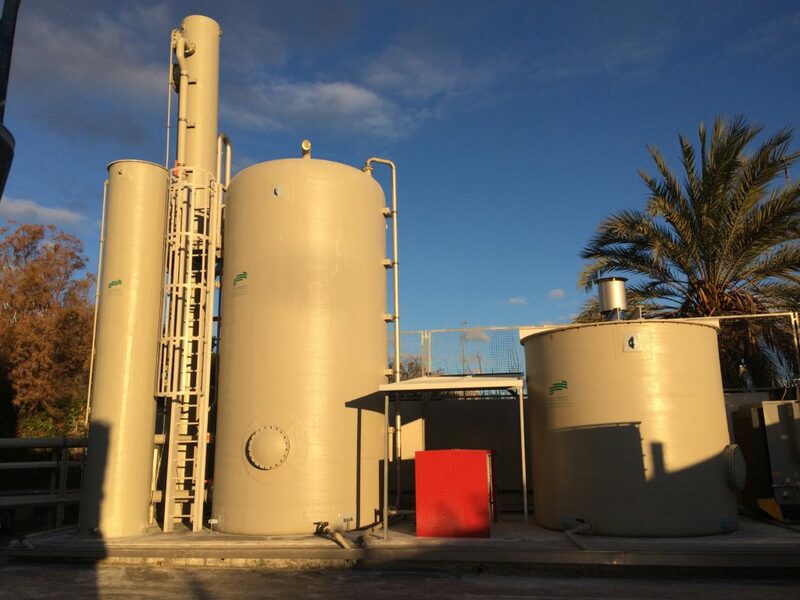 The new bioscrubber developed by AERIS was built and commissioned during last summer in an industrial facility in Murcia, Spain. 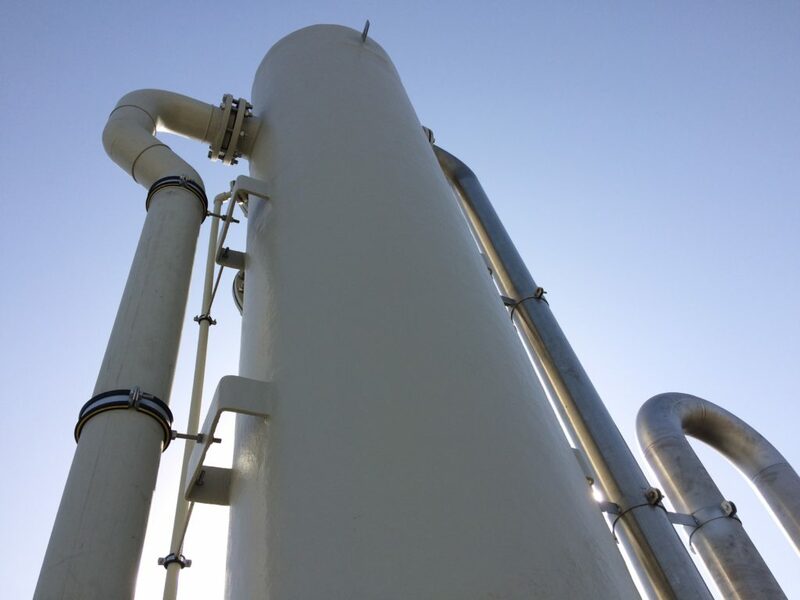 The bioscrubber, unlike chemical scrubbers and biotrickling filters, consists of two stages of treatment. 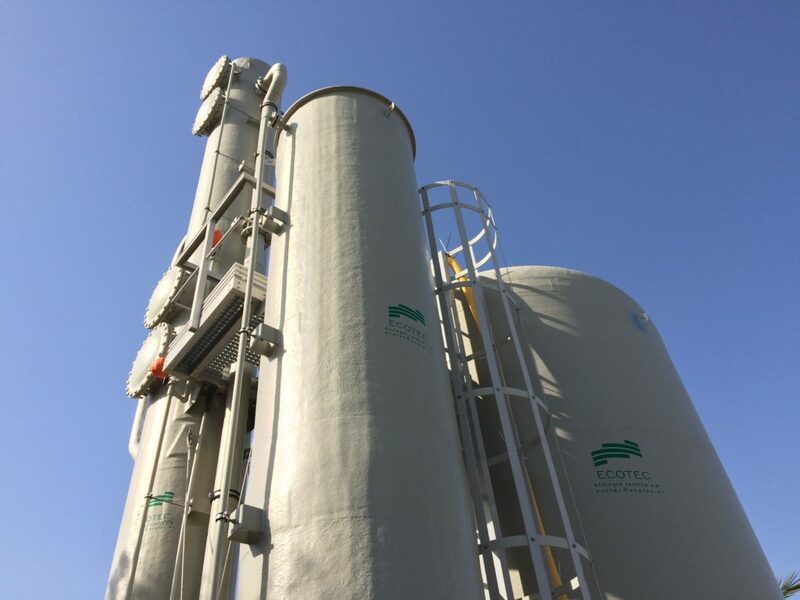 In the first of these stages, a conventional scrubber, the H2S contained in the biogas is transferred to an aqueous phase. 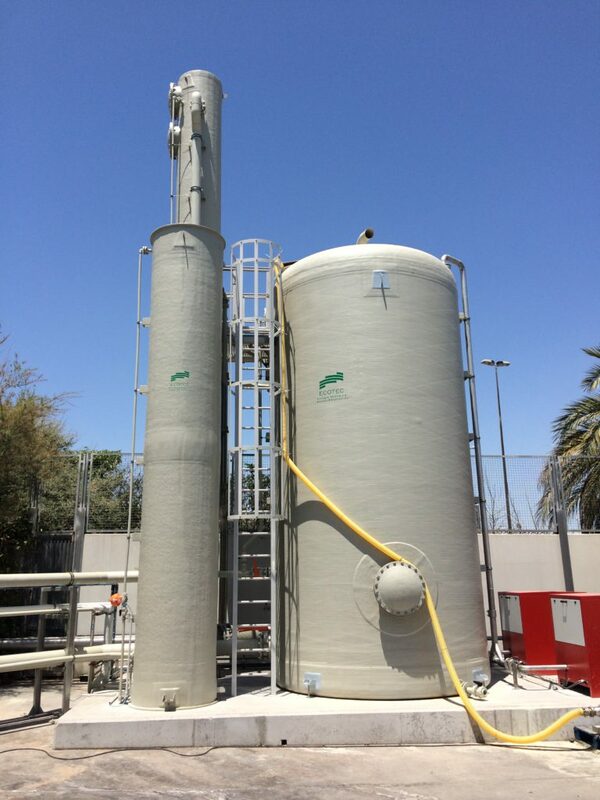 In the second stage, a liquid phase bioreactor, H2S is oxidized mostly to elemental sulfur (producing also a small amount of sulfate and other more oxidized forms of sulfur). 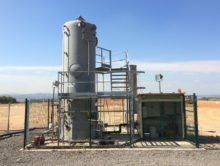 Therefore, a small amount of liquid effluent rich in elemental sulfur, which might have different applications in industry, is generated. 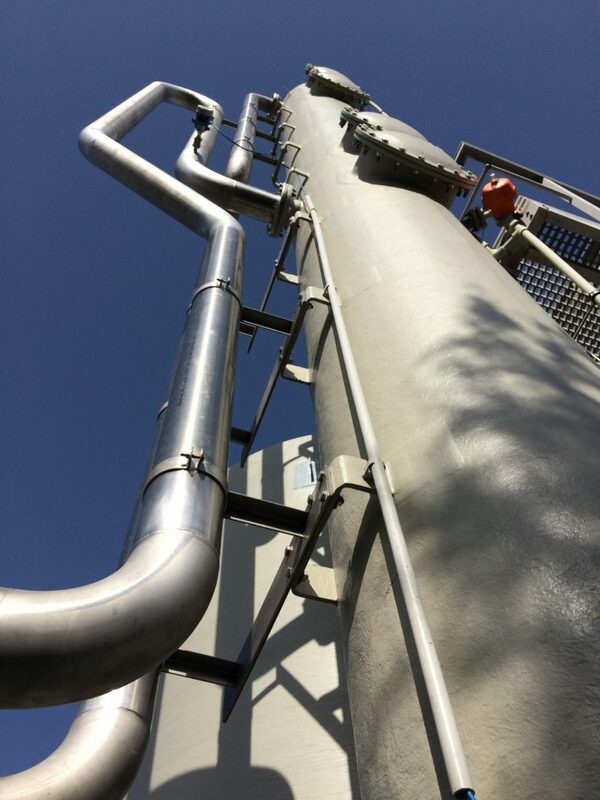 The scrubber is partially packed with a specific inert material which allows the optimal transfer of the gaseous H2S to the aqueous phase with virtually zero accumulation of elemental sulfur. 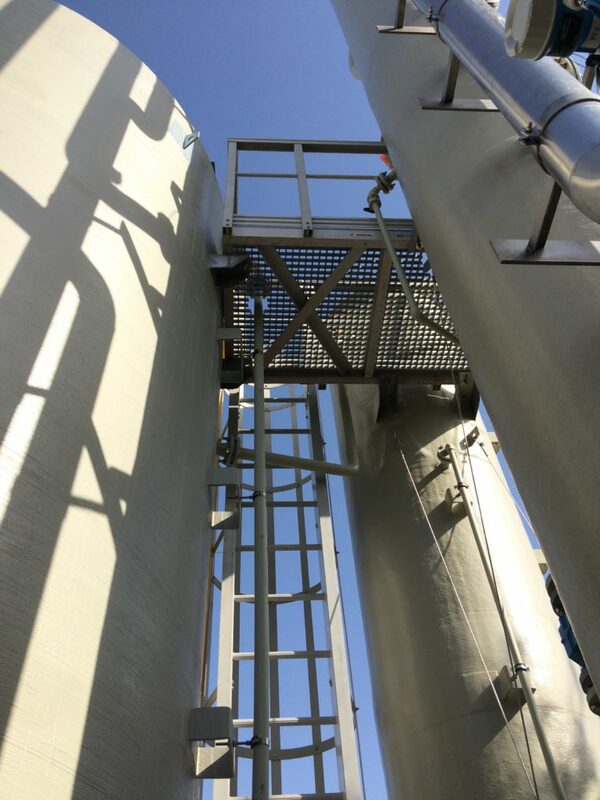 This eliminates the need for periodic maintenance of the packing material and substantially reduces the pressure drop. 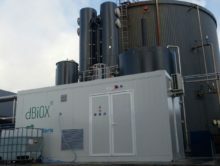 The liquid medium is supplied countercurrently from the bioreactor and spread over the packing material surface. 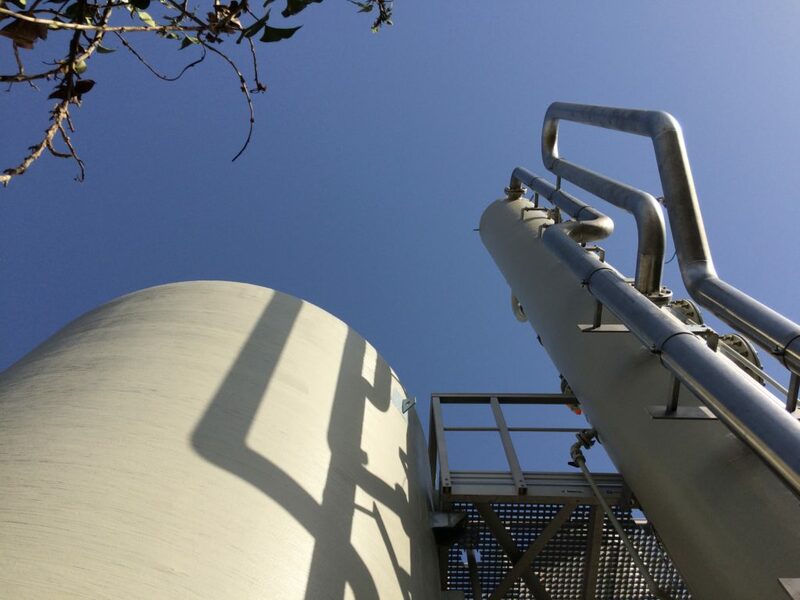 There is no oxygen supply in the scrubber, so the treated biogas is not diluted at all. Subsequently, the H2S-rich liquid is fed to the bioreactor, where a mixed culture of sulfur-oxidizing microorganisms carries out the partial oxidation of S-2 to S0. 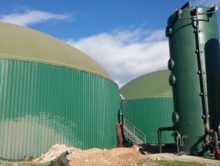 No contact between the biogas and the air exist, hence eliminating the risk of explosive conditions in the installation. 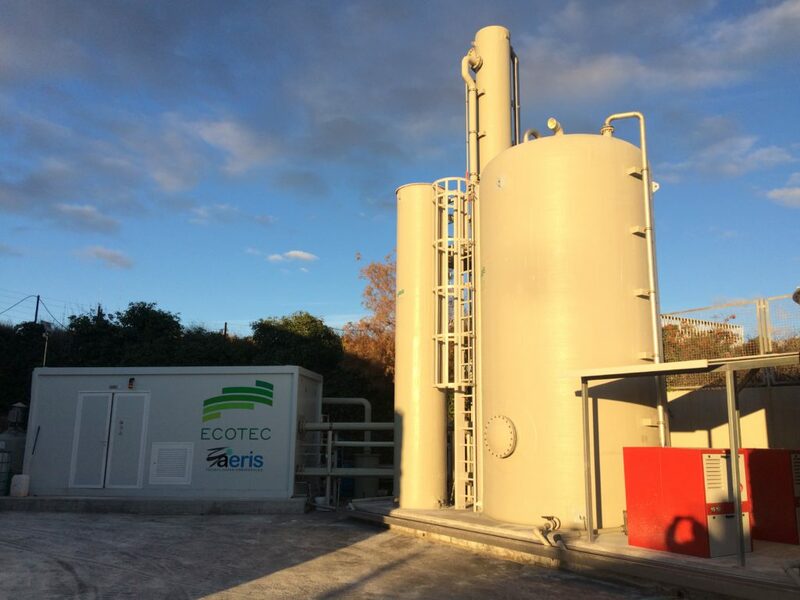 The outlet biogas, which contains no H2S or other potentially harmful or odorous compounds, is vented through the top of the bioreactor and further consumed in a boiler. 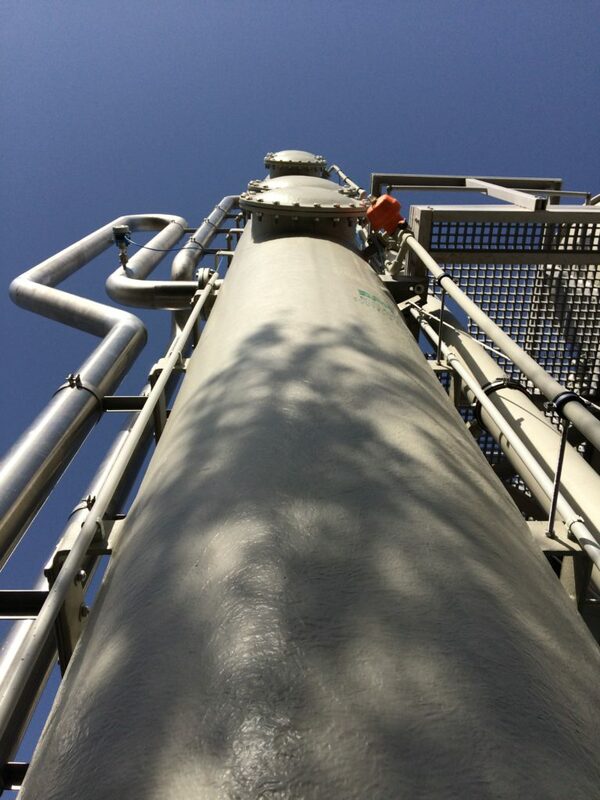 During the start-up and in the first stages of operation under steady state, the AERIS-BS bioscrubber has proven its high robustness and low operating costs, consuming only a small fraction of the reagents that would be required in traditional, chemical scrubbers.